My First Time is a regular feature in which writers talk about virgin experiences in their writing and publishing careers, ranging from their first rejection to the moment of holding their first published book in their hands. 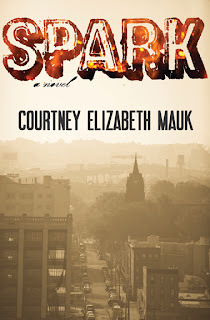 Today’s guest is Courtney Elizabeth Mauk, author of the novel Spark which will be published by Engine Books in September. She was born in Rolla, Missouri, and grew up in Copley, Ohio, in a house filled with books. 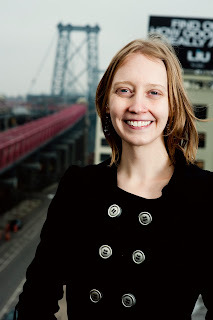 She studied creative writing at Oberlin College and in 2006 she received an MFA in Fiction from Columbia University. Her writing has appeared in The Literary Review, PANK, Wigleaf, and Necessary Fiction, among others. 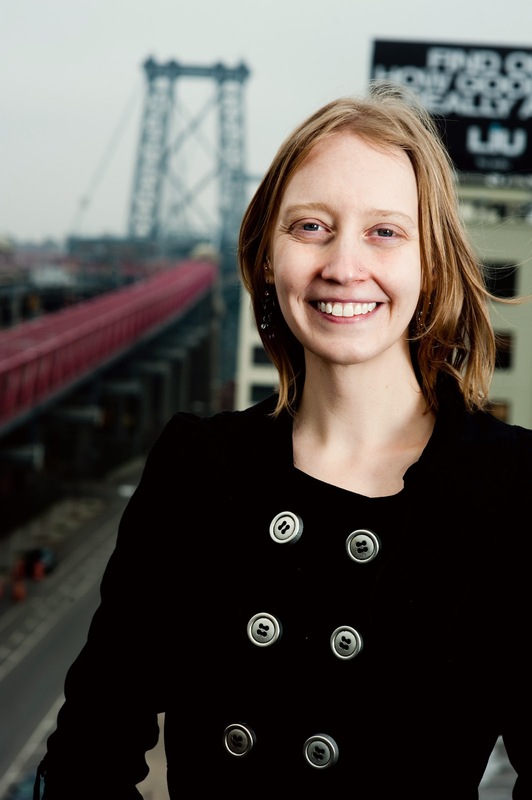 She is an assistant editor at Barrelhouse and teaches with the Sackett Street Writers’ Workshop. She lives in Manhattan with her newlywed husband. More information can be found at her website. During my final year studying creative writing at Oberlin College, a professor asked me if I felt like “a Writer, with a capital W.” The difference between writer and Writer was obvious, and I couldn’t say that I felt like I’d earned the capital yet. That day didn’t arrive until four years later, when a complete stranger emailed me about my story “Beautiful Things.” The characters, she said, had moved her. The email came while I was in hibernation. A few months earlier I’d completed Columbia’s MFA program, and I didn’t know what came next. I had a novel that still needed work, vague ideas about teaching. More pressingly, I had bills to pay and a room in an apartment that creeped me out. The neighborhood was “borderline,” my room cave-like, perpetually dark, crammed with the furniture of renters past. The absentee Ph.D. student whose name was on the lease sublet to a revolving door of strange men; I’d meet one for the first time in the kitchen or coming out of the bathroom and never see him again. On my better days, I viewed this period as the struggle before success, a time I might even look back on with nostalgia later. On my worst, I wondered what the point of the struggle was. “Beautiful Things” had been my first published story. It had appeared two years earlier in a fledgling literary journal based in Yellow Springs, Ohio. At the time I’d been thrilled, but then I’d forgotten about the story and assumed everyone else had, too. In the meantime I’d written a few more stories and received a steady stream of rejections. For a while I kept the rejection slips in my desk drawer, thinking their presence would be unpleasant but fortifying, like writer vitamins, until my heart plummeted once too often while rooting around for a pen. But according to this email, “Beautiful Things” had not been forgotten. Not only that: this stranger had stepped into the world I’d created and emerged changed. For over an hour I sat at my card-table desk, reading the email over and over, my fingers poised above the keyboard. How should I respond? My work had been critiqued hundreds of times by classmates, teachers, and writer friends; I’d developed the thick skin necessary for (at least partial) objectivity, with the goal of always producing something better. But I had never heard from someone who had read one of my stories for pure enjoyment. I couldn’t get over the idea that this woman had liked my story so much, she’d taken the time to track me down and write to me. Part of me wanted to come across as serious and dignified: the sophisticated Writer. Another part wanted to make this woman my new best friend. Overwhelmingly, I wanted to fall to my knees before her. Since childhood, stories had been the focus of my life, authors my greatest idols. I remember stopping at passages that struck me as especially beautiful and thinking: someone wrote that. An actual human being had had that idea, felt that emotion, and put it down on the page for me to experience—a melding of the minds. That power awed me. I dreamt of someday being able to reach out and grab someone through my words the way my favorite authors grabbed me. Now this total stranger—my new favorite reader—was telling me that I had done exactly that. Her email brought me out of hibernation. With a renewed sense of purpose, I threw myself into my work. Soon I moved away from the scary apartment and secured a regular teaching job. Acceptances began to appear among the rejections, and even the rejections weren’t so disheartening anymore now that I understood what could be accomplished. 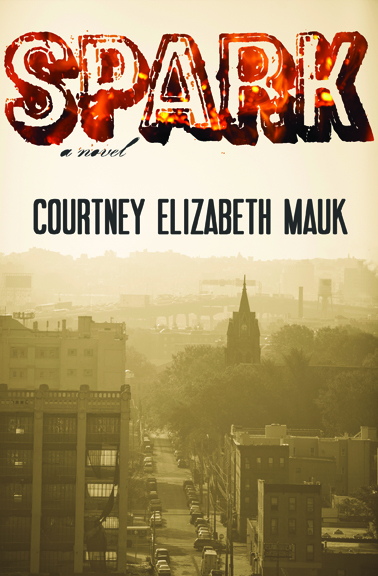 Eventually I started writing what would become Spark. I don’t remember what I said in my reply. I know I thanked her for reading, but I doubt I conveyed as much gratitude as I felt. I’m not sure that would have been possible.